Cancer is not only costly to your health but your wallet as well, new research suggests. Having cancer costs a typical patient £6,840 a year, according to the Macmillan Cancer Support charity. Four in five sufferers are forced to pay £570 a month in extra spending. This includes fuel bills and travelling to hospital, as well as a loss of income. Costs can escalate still further if cancer patients travel abroad on holiday without the peace of mind of cancer travel insurance cover - which can safeguard them against having to pay for potentially expensive treatments. University of Bristol researchers analysed how cancer affected 1,600 cancer patients' monthly budgets. 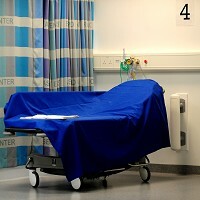 They found that travelling to hospital appointments costs two in three patients £170. A Macmillan spokeswoman said that patients who work and those with children pay double the average monthly cost of those who are jobless or who do not have any children. She said welfare cuts are hitting the most vulnerable hardest. The number of people living with cancer in the UK will double to four million by 2030, it is believed.